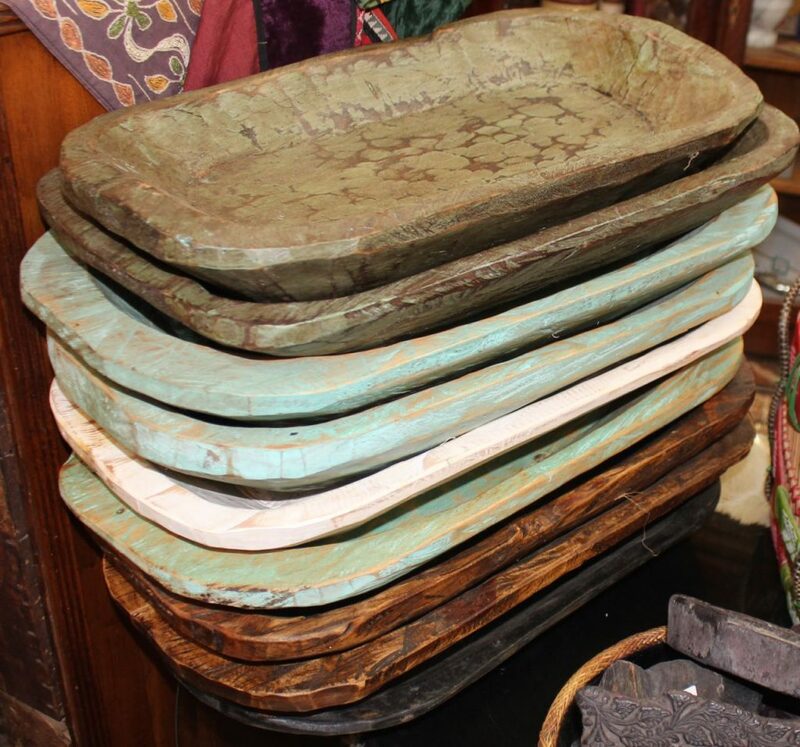 We don’t typically have reproductions in our shop but antique trenchers have become so expensive and so hard to find that we picked up a selection of hand-made trenchers from Mexico. These painted bowls are hand-carved & painted by a family in Guadalajara. Useful, pretty, and a very affordable $45 each!